Happy New Year! Yesterday we released several nice improvements we hope you like. You can now choose a default money account for event fees to post to. You can choose to require payment to RSVP. 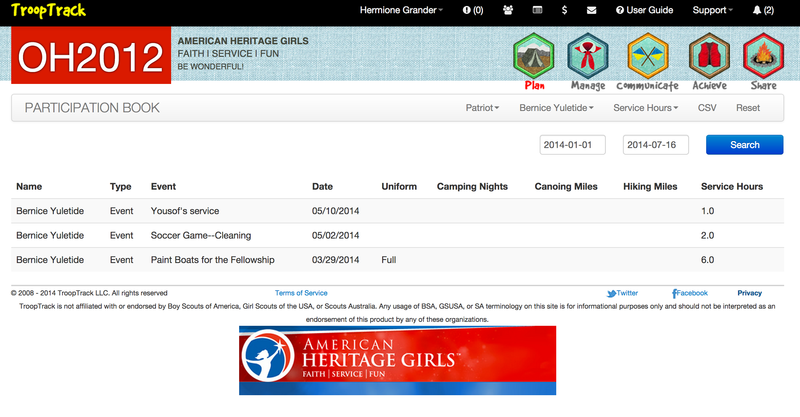 The settings page also includes information about the various payment providers we support or plan to support. 2) Printed attendances sheets. 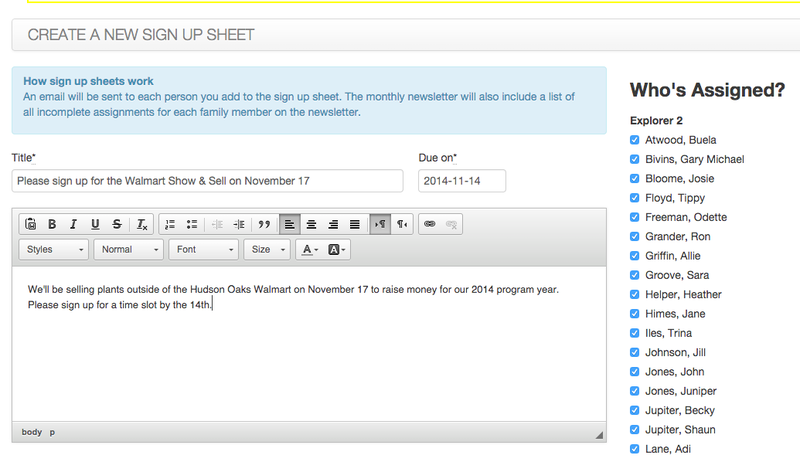 Now you can customize printed attendance sheets to include just the information you want. 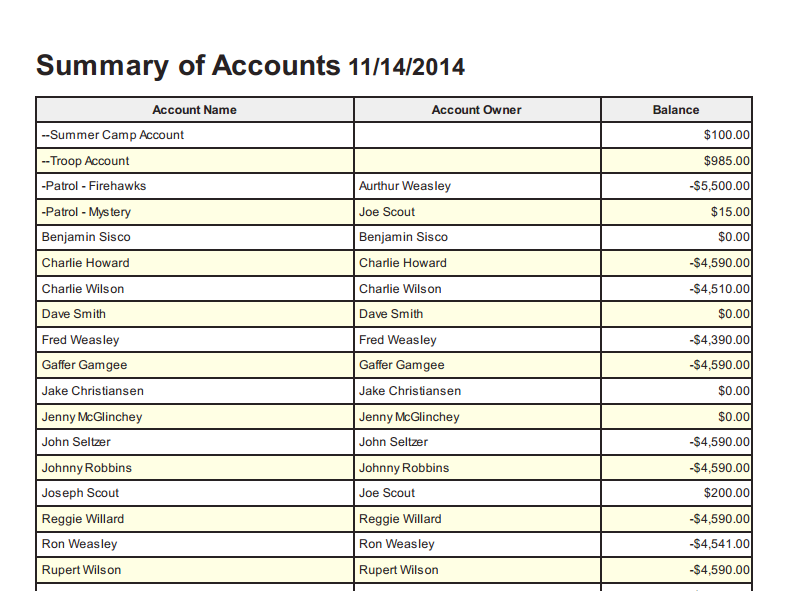 3) The money and participation books now include a row totally the information shown. 4) Creating new web pages is less awkward to use now. Instead of sending you back to the Share overview when you save a new page it takes you to the page you just created. Likewise, when you delete a page it now takes you to the deleted page's parent rather than the share overview. 5) We've updated the terms of service to clarify the confidentiality of data. 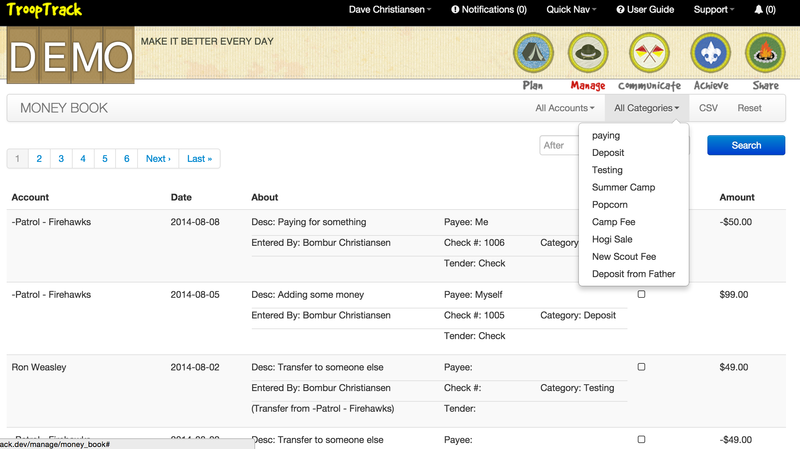 I've finished work on the ability to accept credit card payments for event fees. It will probably be released next Friday, pending internal review and testing. If you are interested in using this feature, you might want to set up your payment account with our payment processor, Stripe.com. 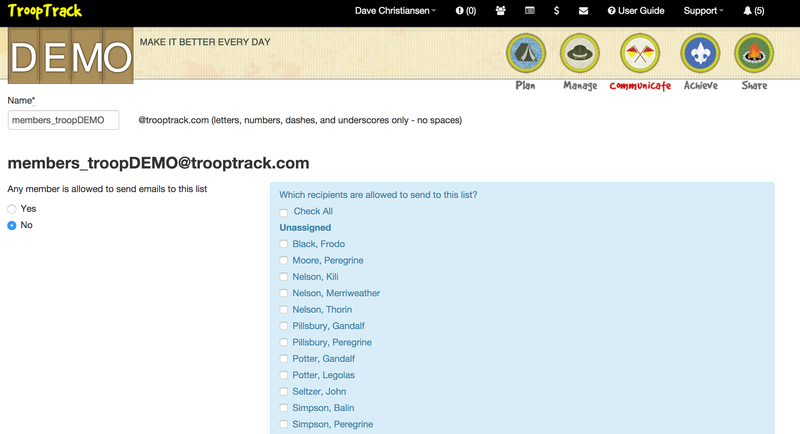 TroopTrack will be down for a database upgrade Friday morning. This should be a brief outage and will start sometime between 8 and 9 am ET and should be over in less than an hour.